Recently, GRASP Lab. 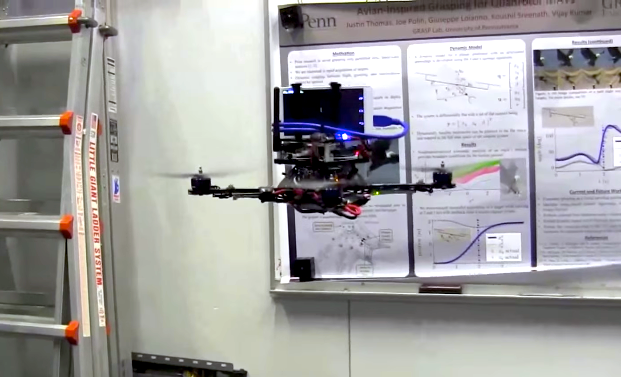 from Upenn demonstrated a quadrotor powered by Tango phone. At a glance, it looks pretty stable and well-working. Disturbance rejection and fast motion are properly handled and the flyer rapidly stabilised. As they said, researchers are now evaluating accuracy of 30Hz state estimation coming from the Tango phone with motion capture ground truth and I can’t wait to see the performance. It might have weak research motivations if they only put the phone on top of the flyer since it already has been done using Kinect-fashion RGBD-sensors 3 years ago. Another interesting point is that it might work only within close-proximity due to its small baseline. Here is the video from Minnesota University using Tango Phone for 3D mapping on a quadrotor platform. and the article from IEEE Spectrum. Early this year, Google unveiled its Project Tango smartphone, a mobile device equipped with a depth sensor, a motion tracking camera, and two vision processors that let the phone track its position in space and create 3D maps in real time. The device is particularly useful for robots, which have to navigate and locate themselves in the world. Indeed, a video showed how Google and its partners were putting the smartphone on different kinds of robots, including mobile platforms and manipulator arms. Now researchers at the University of Pennsylvania led by Professor Vijay Kumar are taking things one step further. After getting a Tango device from Google, they put it on one of their quadrotors and let it loose inside their lab. Kumar says that a big challenge for researchers working with flying robots is not building them but rather developing hardware and software capable of making them autonomous. Many robots use GPS for guiding themselves, or, when flying indoors, they rely on motion tracking systems like Vicon and OptiTrack, which offer great accuracy but requires that you install sensors on walls and ceilings. Giuseppe Loianno, a PhD student in Kumar’s group, has made a video showing their initial tests with the device. In the first part of the video, Loianno sets the quadrotor to hover at a fixed position and then perturbs it by moving it around, but the drone promptly returns to the starting point. Next Loianno commands the drone to go to different places in the room and, even if disturbed, the drone recovers and stays on its programmed path. The researchers now plan to study Tango’s accuracy of localization (and compare it to external motion tracking systems), but from their initial tests they estimate the accuracy to be within a centimeter. If that proves to be the case (and if Tango can be made cheap enough), it will be an impressive capability for the Google device, which could revolutionize how mobile robots and drones navigate indoor spaces. This entry was posted in Quadrotor, Robotics and tagged Quadrotor, TANGO on May 23, 2014 by enddl22. iPhone 4S WiFi grayed out. Let’s fix it. Recently, my iPhone (iOS 7.1.1) 4S’s WiFi module has been disabled for some reasons. I couldn’t remember exactly what happened but I think the WiFi module went out while switching Airplane-mode. Anyway after this thing happened, WiFi enable button always grayed out and I can’t enable it. After googling, an interesting way might can resolve the issue at least my case. The steps are simple: 1) Using a hair dryer or a heat-gun, make your iPhone detect over-temperature. 2) Turn it off and put it in the freezer for 10 minutes. 3) Turn it on and check it whether it works or not. Some forks said that it only worked for a couple of days but I don’t know how it will work for me. The following youtube video shows procedures described above. This entry was posted in Apple, IPod-touch on May 20, 2014 by enddl22. Last September, Parrot unveiled its latest AR Drone upgrade, the Power Edition, with longer flying time and new colors, and the company also revealed it was hard at work testing a new GPS autopilot system. 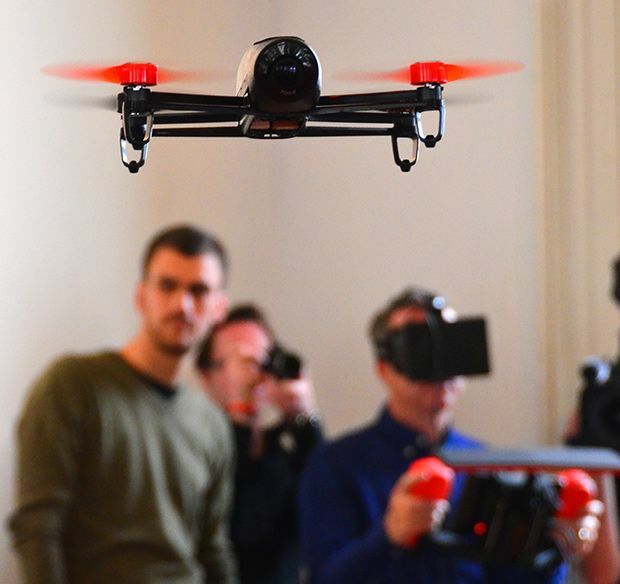 Then early this year at CES, Parrot released a brand new quadrotor called the MiniDrone. That’s all really cool and we figured that, okay, it’s going to be a while (like, a year) before we see any sort of new flying robot from Parrot. We apparently underestimated Parrot by a lot, because last week, they gave us a look at a completely new drone that includes a bunch of unique features that are totally worth getting excited about. 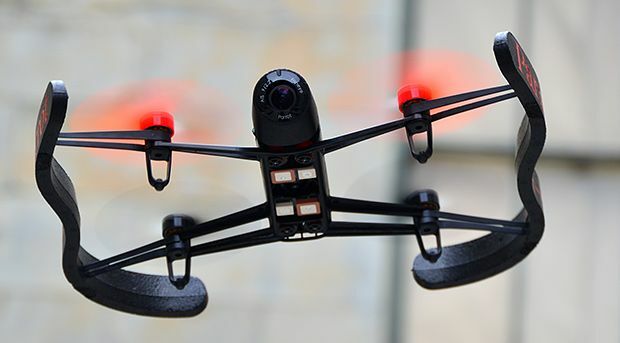 Digital image stabilization: the drone uses a 3-axis accelerometer, a 3-axis gyroscope, and a 3-axis magnetometer to digitally compensate for movement. If there’s some turbulence and the drone rolls a bit, it will adjust the video to compensate, taking advantage of all of the extra pixels that the sensor has available. We saw a demo of this, and it works for both small vibrations and giant movements, including putting the entire drone over through a 360 degree roll while it keeps giving you a stable, right-side up video. It’s very impressive, and all done onboard with an integrated GPU. Digital panning: the drone’s camera is fixed, meaning that ordinarily, to look up and down or size to side, you’d have to yaw or tilt the entire drone. Instead, you can pan and tilt the video by just changing the area of the sensor that’s being used, such that you can look almost completely up or down or side to side (within 180 degrees) just using the sensor, without the drone moving at all. In addition to the digital image stabilization, Bebop’s camera is completely isolated from the frame and the motors by anti-vibration bumpers, which are the orange things in the image below. The bottom of the drone also gives a good look at the four 2.4/5 GHz ceramic Wi-Fi antennas, the ultrasonic altitude sensor, and the little downward-pointing camera that uses optic flow for stabilization and speed estimation. 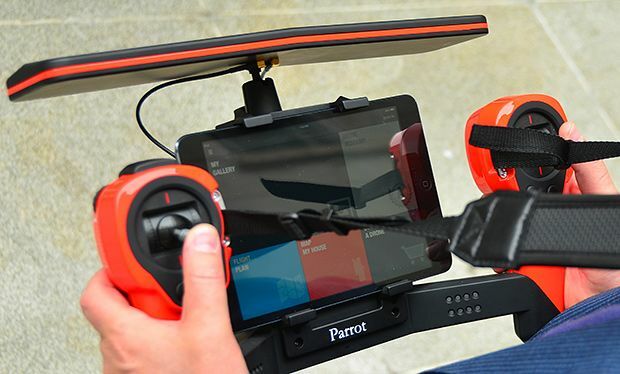 The Parrot Skycontroller is essentially a big tablet dock with a dedicated drone interface. Those are honest-to-goodness R/C-style analog control sticks (YAY!) along with a ludicrously powerful 36dBm a/b/g/n/ac directional MIMO quad Wi-Fi antenna that can talk to your drone (and stream video from it) from up to two kilometers away. Oh, and it runs on the same battery pack as the drone does, which is a nice touch. It’s a little bit of a hack, but the really cool part is that head movement when you’ve got the Rift on syncs up with the digital panning, so you can look around while the drone remains stationary. There’s a lot of polishing that needs to be done, but the potential is very exciting. The bad news in all of this is that the battery life on the BeBop is just 12 minutes, but it’s easy to swap the battery packs to keep on flying. We can also report that the drone crashed a whole bunch of times over the course of the demos that we saw, and it emerged unscathed. If you’re a terrible pilot, the BeBop has integrated GPS (which also receives Galileo and GLONASS), and can autonomously follow waypoints as well as returning home by itself. Parrot has not yet announced pricing for Bebop (or for the controller), but they’re aiming to be competitive with other drones designed for video capture, without replacing the AR Drone for consumers or hobbyists. Our guess would be somewhere between $600 and $800, although we’re of course hoping for more affordable as opposed to less. And we have no idea what the controller is going to retail for, although we desperately want one, and if Parrot opens it up (and they’ve suggested that it’ll be compatible with “most open-source drone control software”), we could see it becoming the control system of choice for any serious drone user. Whatever it ends up costing, expect the Bebop drone to be up for grabs in time for the holidays. This entry was posted in Quadrotor, Robotics and tagged Bebop, Parrot on May 13, 2014 by enddl22.